I will be the first to admit I’m a history geek. From the moment I watched the “Six Wives of Henry VIII” TV series in the early seventies, it was love at first sight. I read everything I could get my hands on about Henry and his wives. This even led me to major in history in college. Alongside this obsession, I began studying the French language in the ninth grade and decided to make French my minor area of studies. All this made it seem inevitable that I would take courses in French history. The French history professor at my university was eccentric and entertaining. He paced back and forth at the lectern holding an unlit cigar in his hand. He also had a career on the side, training German Shephard dogs and would bring a dog to the classroom and make it sit on the floor in front of him. What’s not to like? For the final exam of the course on the French Revolution, he posted one question on the chalk board: “Was the French Revolution inevitable?” A yes or no answer certainly wasn’t enough to get a passing grade! Most of the history we learn comes from books, courses, movies, television and in this day and age, the Internet. This is all well and good and we can learn so much through these methods. But a lot can be said for visiting the places we study about. Having just returned from my first visit to France, I can attest to the fact that being in the country whose history you have studied really makes the history exciting. Here are just a few examples of what I learned. 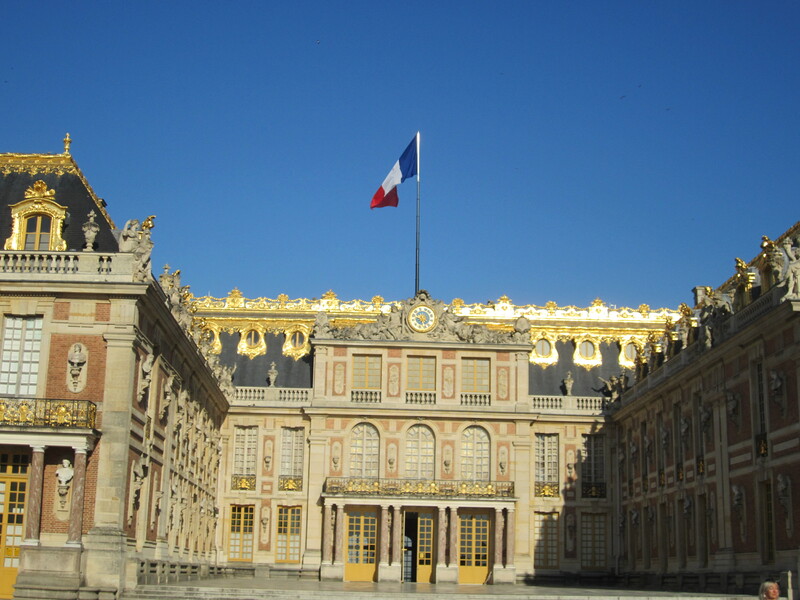 On my first day in France, I toured the magnificent Château of Versailles, the home of the Sun King, Louis XIV. 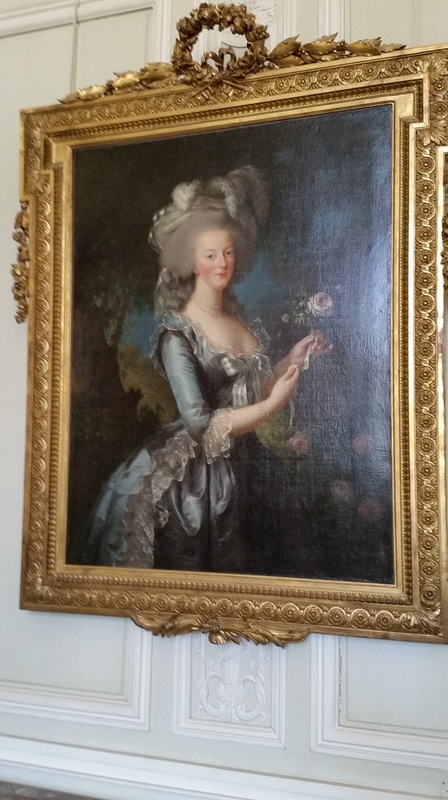 For some reason I didn’t realize how much art work was in the Château. There were so many portraits of royalty, mistresses, ministers, generals, artists, playwrights, battles, landscapes, etc. many of which I had seen on the Internet and in books. These paintings were displayed so they could easily be seen in great detail. 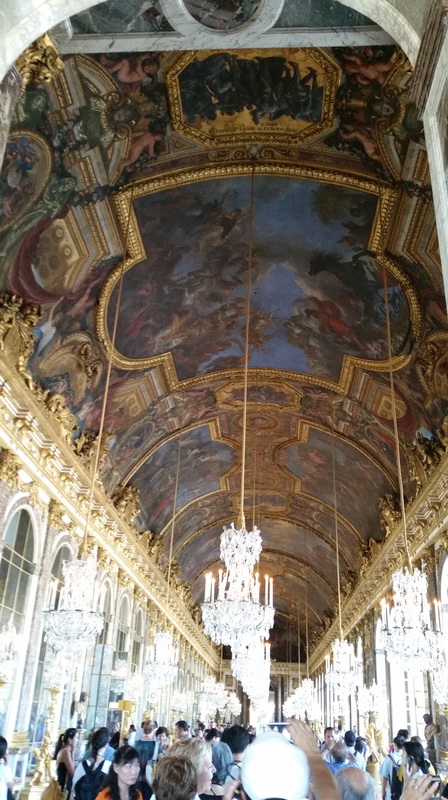 I saw the Chapel Royal where the kings worshiped and stood in Louis XIV’s bedroom. As I entered the Hall of Mirrors, I contemplated the momentous signing of the Treaty of Versailles which ended the state of war between Germany and the Allied Powers. It was signed in the Hall on June 28, 1919, exactly five years to the day after the assassination of Archduke Franz Ferdinand. Another of my favorite moments on that day happened in the Petit Trianon, the small pleasure château given to Marie Antoinette by Louis XVI so she could escape the stifling atmosphere of the court. This building is intimate and warm. As I was standing in an antechamber, I turned and looked to my right. On the wall hung the famous portrait of Marie Antoinette called “La Reine en Gaulle” by the artist Elisabeth Vigee Le Brun. I was stunned. The original portrait was considered scandalous because the Queen was portrayed in a plain muslin gown with a simple hat. Because of this the painting was altered to depict her in more appropriate clothing. My tour of the Louvre was chaotic because of the crowds. Our guide led us into the room where the Mona Lisa by Leonardo da Vinci is hanging. We could barely see the painting as people were crowded in front of it and were holding up their cameras to take pictures of it. 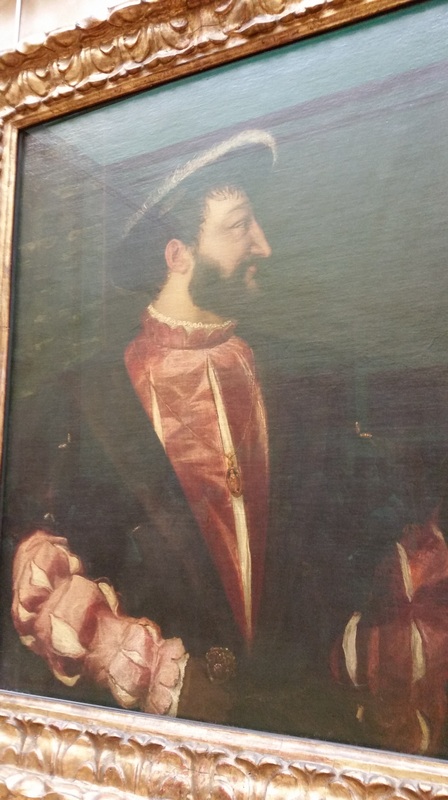 In that crazy moment, I just happened to look on the wall to my right and lo and behold, there was the portrait of King Francis I by Titian. It was another special moment. Our tour took us to several places in Brittany. This was of particular interest to me because of the remarkable life of Anne of Brittany who was twice crowned Queen of France. Before she was Queen she was Duchess of Brittany which was an independent state not attached to France during her lifetime. The turning point for Brittany came with the Siege of Rennes in 1491. Anne was forced to surrender and marry King Charles VIII which started the process of merging Brittany into the kingdom of France. We visited a couple places connected with Anne’s life. Charles and his sister Anne de Beaujeu who was acting as his regent at the time wanted to keep the marriage a secret as long as they could. The actual wedding took place in the Château of Langeais in the Loire Valley in the early morning of December 6, 1491. 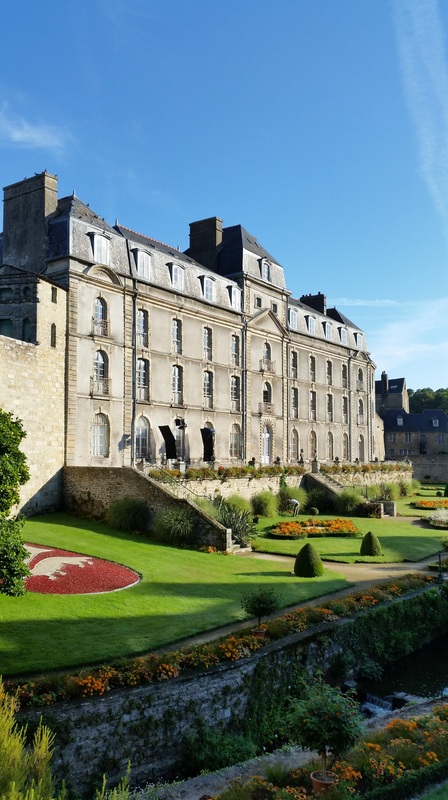 We visited this beautiful castle on our tour and in one of the rooms, there is a tableau of wax figures representing Charles VIII, Anne of Brittany, Anne de Beaujeu and her husband Pierre along with the officiating bishop and other officials. The figures are all dressed in authentic costumes of the period and they all resemble their portraits. It’s a very charming scene. 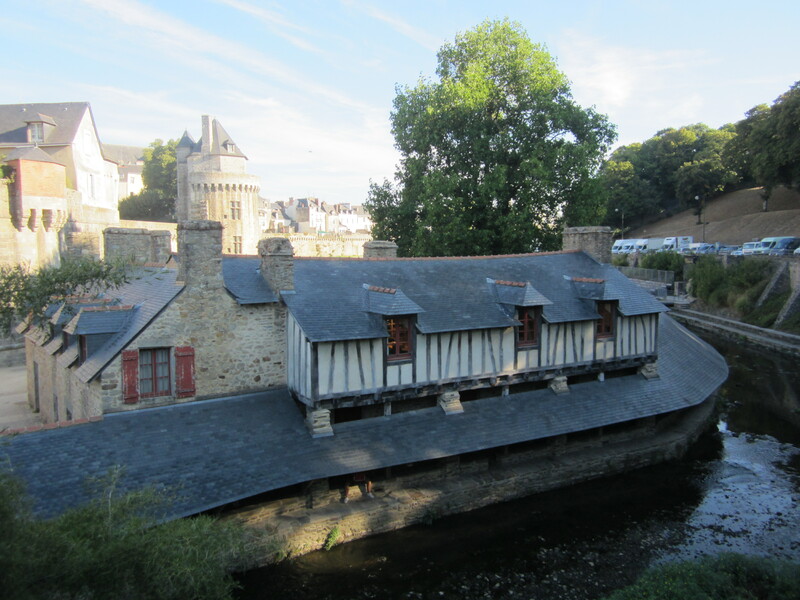 We also visited the medieval walled city of Vannes which also has a connection to the story of Anne of Brittany. The treaty fixing the terms of her marriage to Charles was negotiated and finalized in the Hôtel de Ville in Vannes. But I also had another medieval historical revelation while in Vannes. As our tour guide took us through the town, he stopped at an overlook and pointed out a building along the river. He mentioned this was where the women did their communal laundry. I imagined women with their skirts pulled up, washing their clothes in the cold water. Then something occurred to me. There is a legend that Duke Robert II of Normandy was on the ramparts of his castle in Falaise one day. He looked down upon the river and saw the beautiful Herleva, daughter of the tanner of the town, with her skirts pulled up washing clothes. He wanted to know who this woman was and she was brought to the castle to meet him. She became his mistress and gave birth to a son. That boy was would grow up to be William, Duke of Normandy, also known as William the Conqueror. After seeing this riverside laundry in Vannes, I realized perhaps the story of Herleva and the Duke of Normandy is not a legend after all! These are just a few of the magical moments of my tour that I wanted to share with you. If you have any historical monuments nearby and you love history, take a moment to visit. It just might make the history come alive. When I went to Versailles many years ago I understood why the French Revolution happened. It’s so huge and fabulous and remote from the lives of ordinary people. It just demonstrates how disconnected French royalty was from everyone else. I traveled last year to France and visited Versailles. It is amazing. I too was surprised by all the fabulous artwork there. I love your shot of the Hall of Mirrors (similar to mine) and couldn’t get over how magnificent and large Versailles is and its beautiful gardens. My trip also took me to the Louvre, which of course is always fabulous. A couple of other spots I visited was Fontainebleau and Rambouillet. Hoping for another trip next year to France and busy creating my list of places I need to visit. 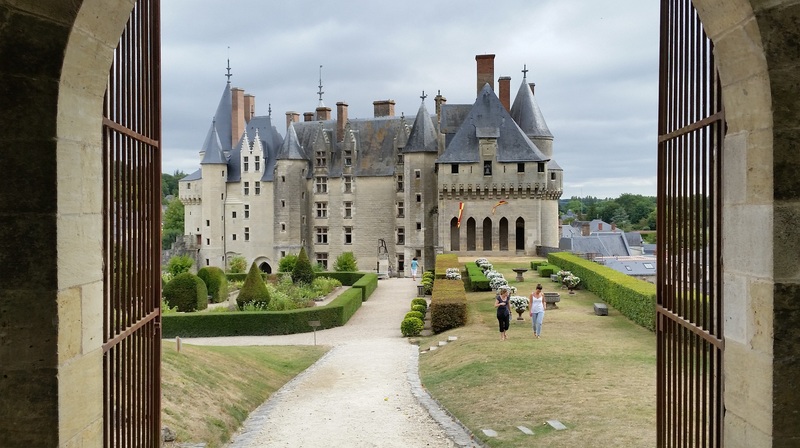 Perhaps, Château of Langeais in the Loire Valley will be on my list for next year. What a thrilling trip! I loved Langeais too. I even bought a book there about Anne of Brittany. (It was only available in French, which I can just barely read). Fascinating insight about the laundry women and the connection with William the Conqueror! Visiting the places where history occurred has always been inspirational for me. Many of my books started with a visit. A trip to Sparta changed my entire perspective and made me start questioning stereotypes, and a trip to Cyprus set me on an still-unfinished journey of exploration into the crusades and the Latin kingdoms in the eastern Mediterranean. Great post! When my wife and I visited the Louvre in 2008, after viewing the Mona Lisa we ventured to the quiet spaces to the left and were rewarded with magnificent stained glass. A little further was a dark room with a large glass case containing aristocratic clothes. Flashes were forbidden there because UV would damage the fabrics. We could scarcely see the costumes but fortunately our digital camera had no difficulty. 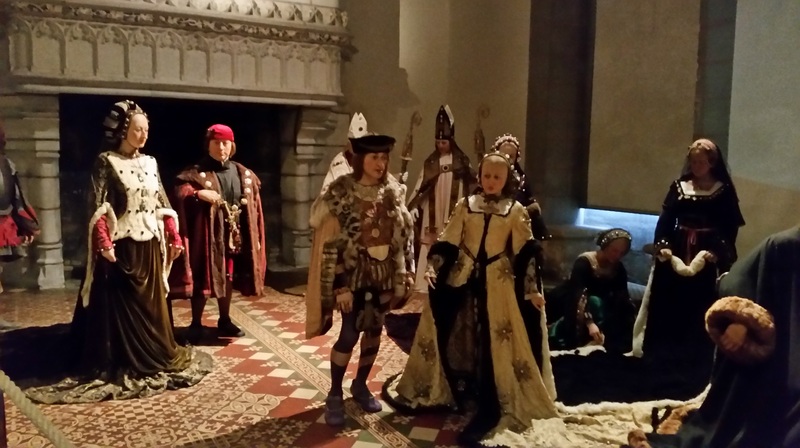 At Langeais, which two of the wax figures represent Charles and Anne? Vannes is the ancestral hometown of the sovereign house of Brittany: they descended from Count Ridoredh of Vannes, a wealthy salt merchant of the mid 800s. (Breton aristocrats as a rule had legal training and commercial experience.) You may have noticed that Ridoredh’s name is Welsh. Was Anne de Beaujeu as tall as she looks in the tableau? Of course we don’t know exactly how tall Anne was but her portraits make her appear very statuesque. The wax figure was about as tall as myself which is 5’5″. The other figures, her husband Pierre, King Charles and Anne of Brittany were much shorter and so they make it look like Anne de Beaujeu was tall.